Category_Category_Zhejiang Synmot Electrical Technology Co., Ltd.
Synmot servo motors are permanent magnet synchronous motors, the main features including: ultra energy-saving, high response and accuracy, low noise and low temperature rise. The rotor is made of high-performance rare-earth permanent magnet material, works reliably and tomaintain less. With low rotary inertia, it is easy to improve the rapidity of system, small volume, high speed and high torque. Using the high-resolution encoder(17-bit, 33-bit)to improve the position control accuracy. It controls the current according to d-p principal axis transformation, which increase thetorque control accuracy from ±5% to ±2%. Synmot servo motors have been widely used in injection molding machinery, textile machinery, CNC machinery etc. Synmot water cooling servo motors are permanent magnet synchronous motors with the stators cooled with water, the main features including: ultra energy-saving, high response and accuracy, low noise and low temperature rise. The rotor is made of high-performance rare-earth permanent magnet material, works reliably and to maintain less. With low rotary inertia, it is easy to improve the rapidity of system, small volume,high speed and high torque. Using the high-resolution encoder (17-bit, 33-bit) to improve the position control accuracy. It controls the current according to d-pprincipal axis transformation, which increase the torque control accuracy from ±5% to ±2%. Synmot servo motors have been widely used in injection molding machinery, textile machinery, CNC machinery etc. Synmot water cooling servo motors are permanent magnet synchronous motors with the stators cooled with water, the main features including: ultra energy-saving, high response and accuracy, low noise and low temperature rise. The rotor is made of high-performance rare-earth permanent magnet material, works reliably and to maintain less. With low rotary inertia, it is easy to improve the rapidity of system, small volume,high speed and high torque. Using the high-resolution encoder(17-bit, 33-bit)to improve the position control accuracy. It controls the current according to d-pprincipal axis transformation, which increase the torque control accuracy from±5% to ±2%. Synmot servo motors have been widely used in injection molding machinery, textile machinery, CNC machinery etc. Synmot high-speed servo motors are permanent magnet synchronous motors with the rigid rotors, the main features including: ultra energy-saving, high response and accuracy, low noise and low temperature rise. The rotor is made of high-performance rare-earth permanent magnet material, works reliably and to maintain less. With low rotary inertia,it is easy to improve the rapidity of system, small volume, high speed and high torque. Using the high-resolution encoder(17-bit, 33-bit)to improve the position control accuracy. It controls the current according to d-p principal axis transformation, which increase the torque control accuracy from ±5% to±2%. Synmot servo motors have been widely used in injection molding machinery,textile machinery, CNC machinery etc. 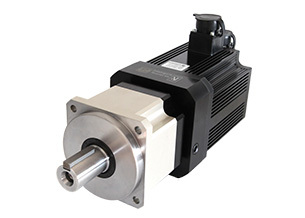 Synmot driect-driven servo motors are permanent magnet synchronous motors with high torque capability, the main features including: high torque density, high response and accuracy, low noise and low temperature rise. The rotor is made of high-performance rare-earth permanent magnet material, works reliably and to maintain less. With low rotary inertia, it is easy to improve the rapidity of system, small volume, high speed and high torque. Using the high-resolution encoder(17-bit, 33-bit)to improve the position control accuracy. It controls the current according to d-p principal axis transformation, which increase the torque control accuracy from±5% to ±2%. Synmot servo motors have been widely used in injection molding machinery, textile machinery, CNC machinery etc. Synmot electro-hydraulic servo systems are highly integrated systems, with the perfect matching of pumps, motors and drives. It can achieve precise flow and pressure control, and the dynamic response is fast. Synmot electro-hydraulic servo systems support multi pump confluence control, with excellent energy-saving performance and simple maintenance. 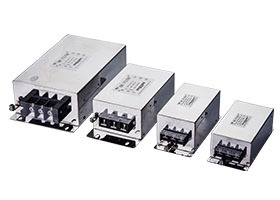 Synmot EMI filters are specially developed for servo applications, with multilevel filter circuits, high common and differential mode interference suppression performance. It can be used to protect the servo systems from extraneous surges, spikes, ESD and interference in the environment. Synmot planetary geared servo motors utilize the high-performance, high-efficiency and high-precision characteristics of the permanent magnet synchronous servo motors, and adopt high-precision planetary gear reducers with high rigidity, high precision and high transmission efficiency. 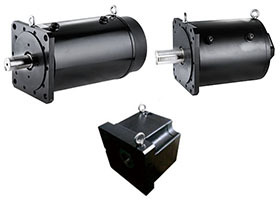 The overall structure of planetary geared servo motors is compact, with high control precision, low noise, large torque-to-volume ratio and maintenance-free.